The exhibition area was close to 35 thousand square meters, offering a detailed review of everything that fits into the concept of "high technology" for secondary processing. The main themes included: Industry X.0”, "IoT" space, visions and new manufacturing processes. On May 9th at the Xylexpo Arena, the CSIL Global Furniture Outlook was presented. 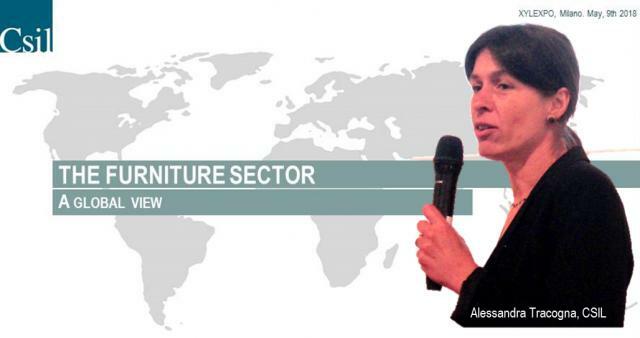 Alessandra Tracogna, CSIL senior expert, focussed its speech on the trends in furniture production worldwide, including the main challenges that both traditional and emerging producers are facing, as well as the opportunities arising on the markets.